Storytellers Handbook to the Sabbat is the second sourcebook to describe the Sabbat, and serves as a companion to the earlier Players Guide to the Sabbat. The Handbook fleshes out background elements of the sect, and introduces two new Sabbat bloodlines. 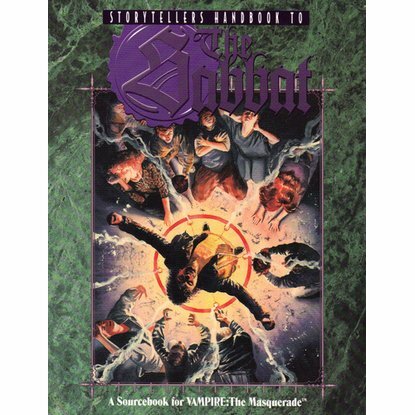 The book advanced the characterization of the Sabbat as thoroughly infested with infernalists, which persisted until Vampire: The Masquerade Revised Edition. This book also introduced the notion of Vicissitude as an infection — a concept that was later revisited in a drastically different form in Dirty Secrets of the Black Hand.